'De Kuip' ('The Tub') has a lower and an upper level of terraces whose continuous curves follow the pitch so as to keep the distance between spectator and game to a minimum. Roofing and upper level are suspended from a cantilevered steel lattice structure. Some 65,000 spectators are able to vacate the stadium in six minutes flat via 22 double steel stairs on its outer face. 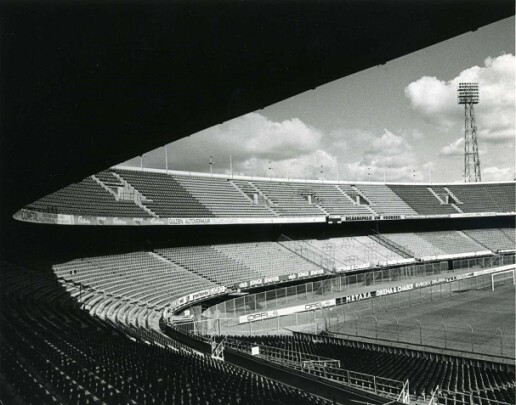 During a restoration in 1994, the 60-year-old stadium was provided with a new structurally independent roof placed over rather than on the existing component.